A fun ELA/science connection! 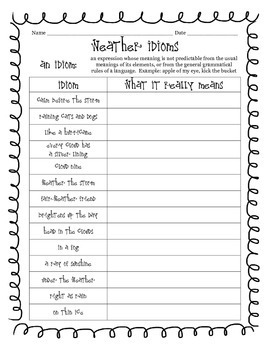 A blank chart for students to complete based on weather idioms. Fun partner or small group activity. I use this during my reading of Dark Water Rising by Marion Hale, but could be used in a variety of contexts. Enjoy, and check out my other Dark Water Rising products!